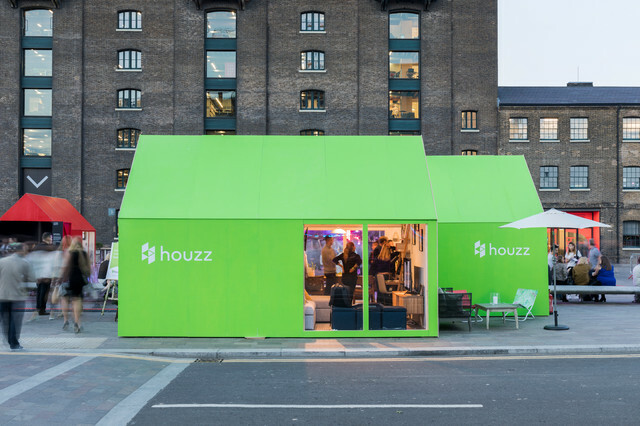 Houzz at a GlanceLocation designjunction hub, Granary Square, King’s CrossWhen 22-25 September 2016Size 40 sq mDesign and build project management Jennifer Chong of FeioiWhat do you do when faced with a tiny, 40 sq m plot and a brief to create a SmartHouzz packed with clever design features, small-space living solutions and modern tech? You turn to the experts – the Houzz community!Many of the furnishings, colours and features in the smart green home have been chosen based on Houzz insights to make it a true representation of the modern UK Houzzer’s home. Colours are based on what we know Houzzers are choosing for their own interiors, and the design solutions are ones that Houzz professionals have used. We know small-space living is a consistently popular search term on Houzz, so the SmartHouzz was created to provide inspiring solutions to the common space dilemmas faced by the Houzz UK community.Furniture and accessories throughout, John Lewis (including Design Project by John Lewis). French grey oak vinyl flooring, Karndean. Wall paint colours, Dulux.